Toronto, ON – January 29, 2014 - Tamas Toth, CEO of the Queen’s University Alternative Assets Fund (QUAAF), joined fellow QUAAF executives and its Chair, Peter Copestake, in opening the market today at the Toronto Stock Exchange. Toronto, ON – Jan. 28, 2014 – Commerce students from Australia to Austria networked with their Canadian counterparts in Toronto when they attended the Commerce Society-sponsored Queen’s Conference on International Business on Jan. 17 to 19. 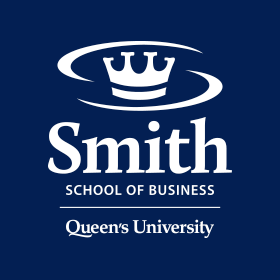 Kingston, ON – On January 25, Queen’s School of Business (QSB) lost a beloved friend and colleague when staff member Ben Whitney passed away unexpectedly at the age of 41. Flags on Queen’s campus are lowered in memory of Ben. Kingston, ON – Jan. 24, 2014 – Finalist teams of Commerce students from across Canada were joined by those from Northern Arizona University and the Chinese University of Hong Kong at the final weekend of the 26th annual Queen’s Entrepreneurs Competition on Jan. 17-19. Kingston – Jan. 8, 2014 – The 36th anniversary of the Inter-Collegiate Business Competition (I.C.B.C.) kicked off the New Year on Jan. 2-4, attracting more than 240 attendees, including competitors from around the world as well as judges, faculty advisors, student organizers and volunteers.